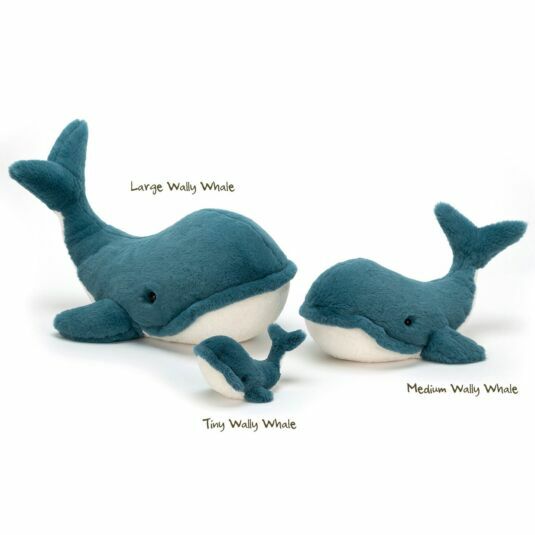 Wally is a wonderful whale who is the kindest king to rule the ocean! 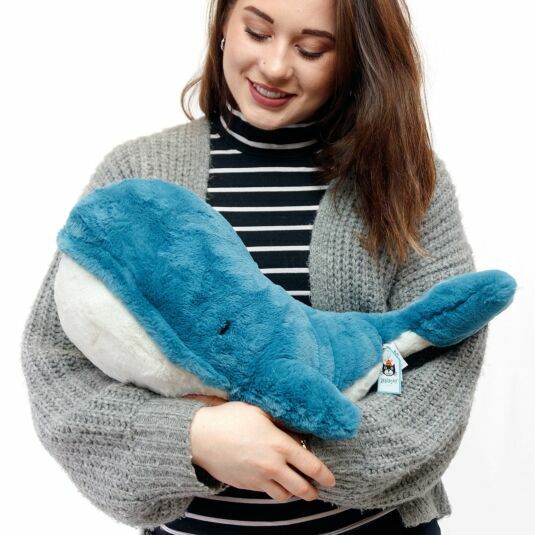 With velvety vibrant teal skin, a soft cream underbelly, a magnificent tail that flicks upward and a big happy grin, Wally is a sociable creature who would love nothing more than a hug from his new best friend. 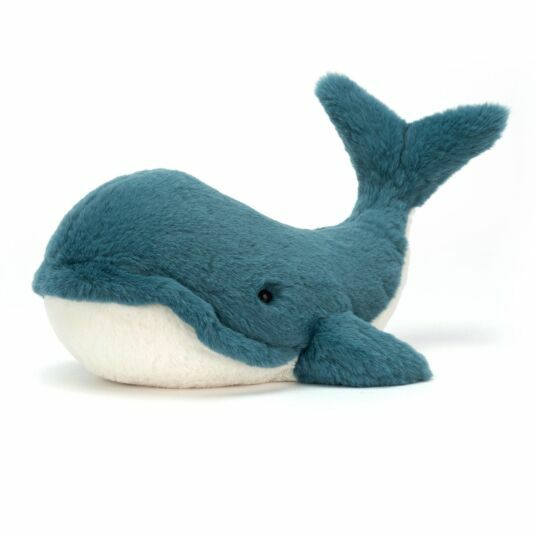 This large huggable companion is sure to be loved, making him the perfect playtime partner for birthdays and Christmas.